What If VIZIO HDTV Cannot Recognize Movie Files on My Flash Drive? A VIZIO HDTV is a big entertainment in our daily life. Nowadays it is convenient to put movies on USB flash drive and play on VIZIO HDTV via USB port. 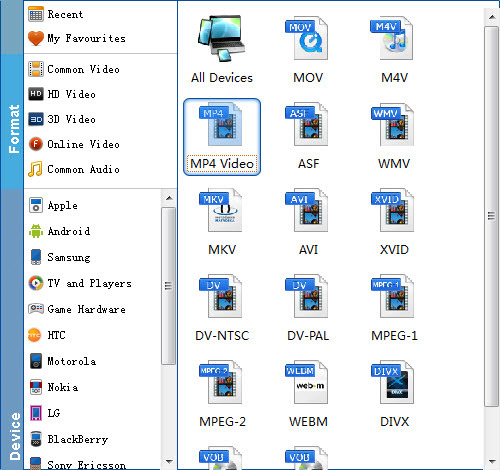 But many users have video playback problems when they play video like MOV, AVI, MKV, VOB, WMV, MPG, etc. on VIZIO HDTV through USB, the main problems are caused by video formats. This means that you cannot watch any video or movies stored on the flash drive on your VIZIO HDTV. What if VIZIO HDTV doesn't recognize the movies from flash drive, that's the point we are discussing in the following paragraph. In fact, Vizio HDTV supported file format is limited. After a lot of online searching and testing, we find that the Vizio HD TV supported file must be encoded with H.264 and the audio as AAC. The format does not matter, as long as the video was encoded with the correct codec. If your Vizio TV refuses to play a movie file from USB flash drive, you'd better convert it to a format compatible with Vizio HDTV. To get the job done, what you actually need is a video conversion tool. 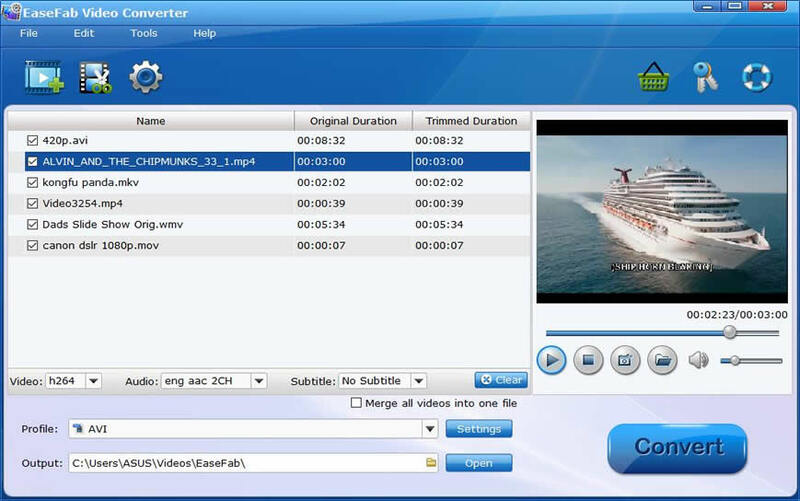 There is a workable and easy-to-use solution in hand entitled EaseFab Video Converter (available for Windows and Mac users), which helps convert all incompatible file formats to Vizio HD TV supported H.264 video codec and AAC audio codec. To assist you get you want video without applying to other tool, the program also offer many customization tools for you to trim the video leave only you wanted portion, crop the video to adjust the black edges, adjust output video aspect ratio to let it fit with your Vizio HD TV display screen, etc. Download, install and run the Vizio HDTV video converter on your PC, click "Add Video" button to load source video files to the program. After everything is OK, go back to the main interface and hit the bit "Convert" button to get started! Whatever the kinds of movies you stored in your flash drive, we won't have issues when watching them on Vizio HDTV anymore! Deserved to have a try! > Resource > Instructables > Why VIZIO HDTV Cannot Recognize Movie Files on My Flash Drive?